Thirty nine enthusiastic cadets and eleven adult volunteers from The Royal County of Berkshire ACF took part in a Norwegian exchange last month. 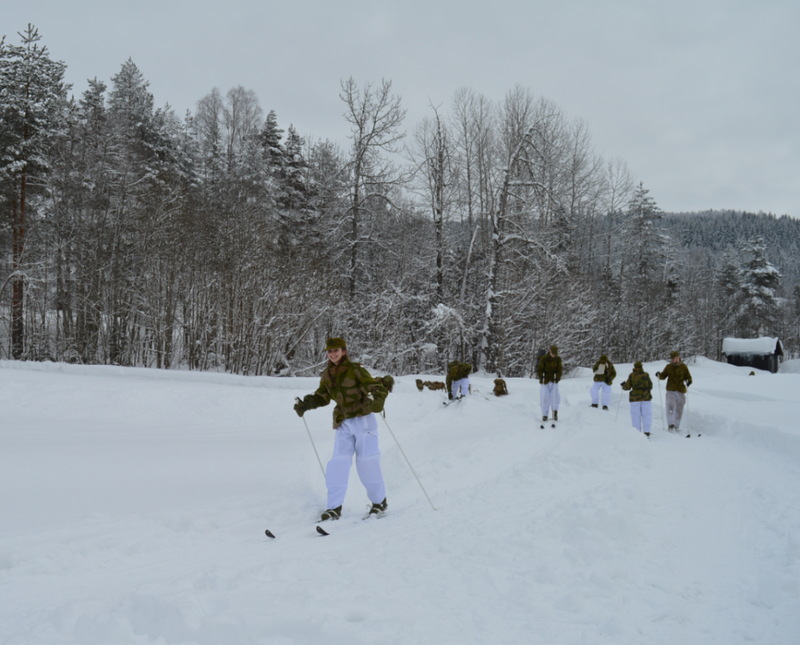 The exchange, which is in its 26th year, saw the cadets travel to Heistadmoen Training Camp during the half term break (16 – 25 February 2018), to experience a variety of adventurous activities in the challenging Nordic climate. The ACF cadets joined their Norwegian counterparts during the week long training camp where they learned about the clothing and equipment needed when facing winter conditions, practised cross country and downhill skiing techniques, as well as brushing up on their local history with visits to the Konsberg Museum and silver mine. Major (Retd) Eamonn Coogan, Cadet Executive Officer of The Royal County of Berkshire ACF, said: “The aim of running the exchange is to offer the opportunity to experience the harsh climatic conditions that Norway has, to place each cadet into challenging military and adventurous activities, but most importantly to inspire young people to try new activities. “Our Norwegian Platoon Commanders were really impressed by our cadets, as they witnessed them foster confidence and build team spirit, whether that was pulling together during the survival skills training or as they mastered cross country skiing.